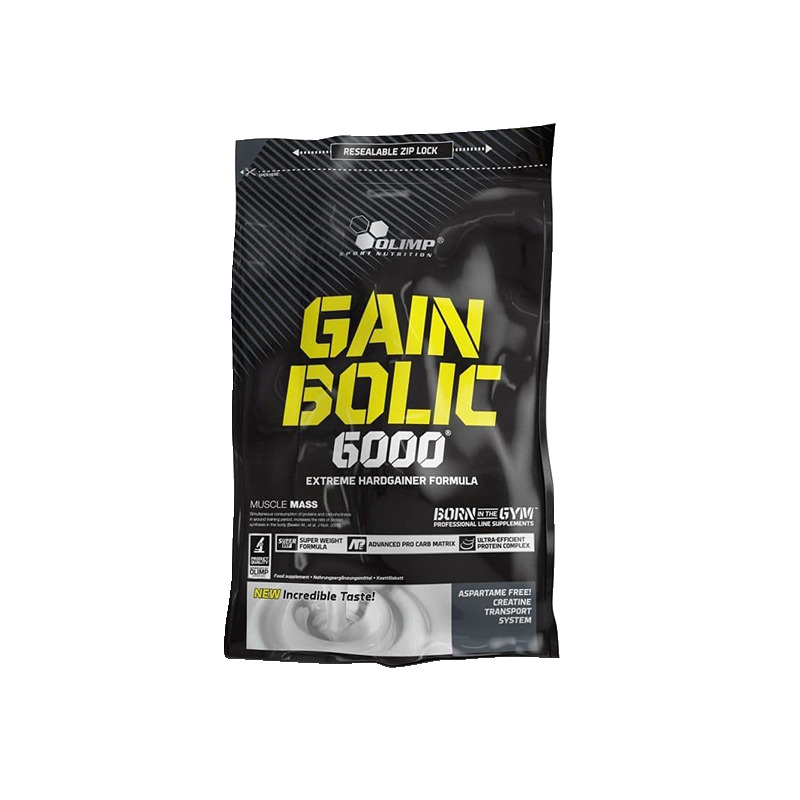 Protein-carbohydrates concentrate mix powder, food intended to meet the expenditure of intense muscular effort, especially for sports people, with sugars and sweeteners, just add water. Complex composition of properly compiled carbohydrates with differentiated glycemic index ratings and Protein-mix, enriched with creatine monohydrate and taurine. 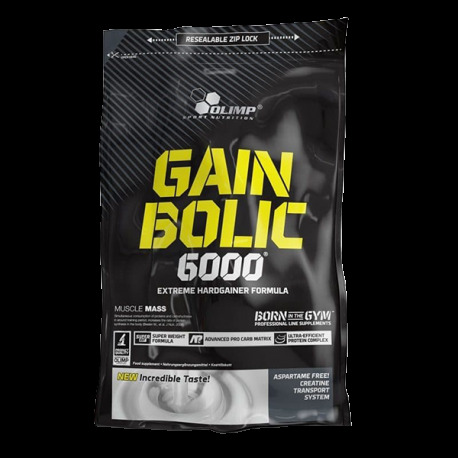 Gain Bolic 6000® provides all nutrients, important for quick development of muscular strength and mass. Take 1-3 portions daily-between meals and / or approx. 1 hour before and / or after training. Add 1 portion (100 g-210 measuring units of the Olimp scoop or 14 flat tablespoons) to 100 ml of water.